Here we go with Day 2 of black week and I pulled together a black valentines day look. Again I used Dance Legend Glitter Base in black. 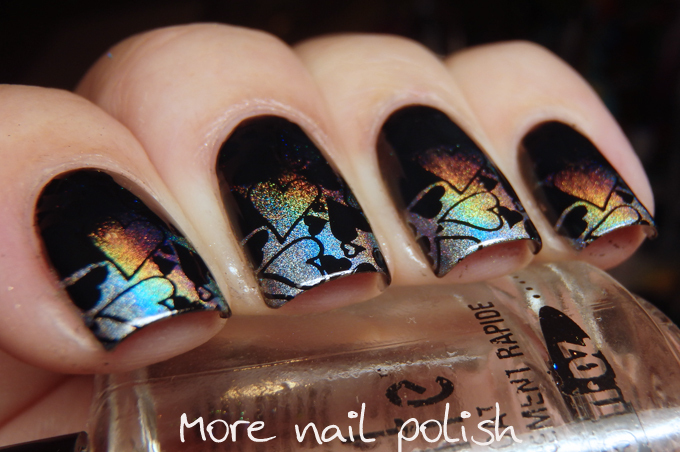 I then did a gradient by rubbing in the holographic unicorn powders that I bought from Daily Charme last year. 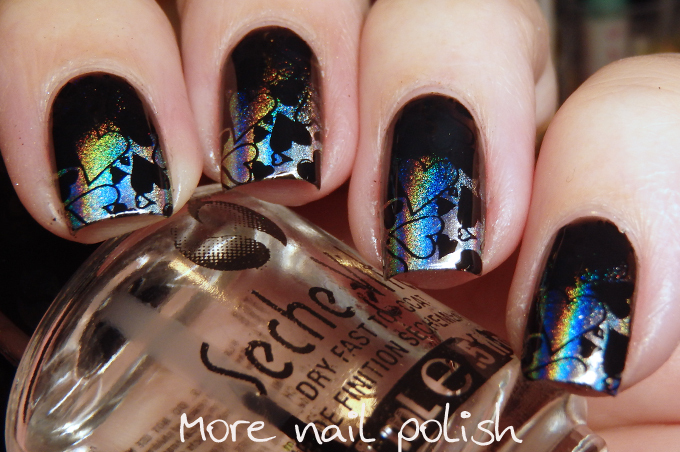 I then did black stamping with the heart image over the entire nail, but it only shows over the holo tips which is pretty cool. I absolutely adore this. So beautiful! That second picture *dies*. 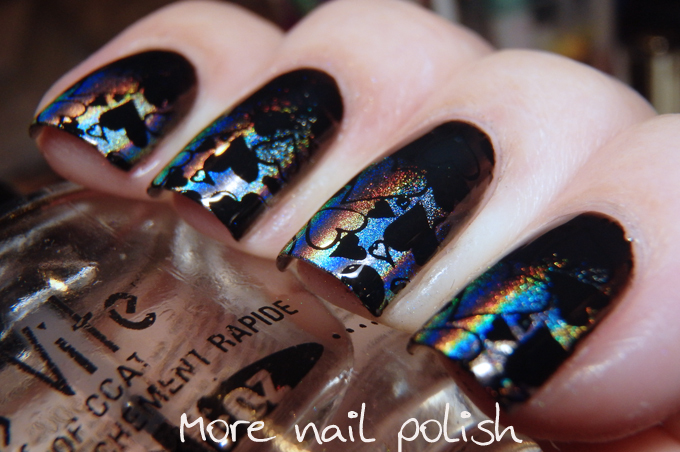 I thought you did a gradient with black at the cuticle; interesting how it shows up like that in the pix! This is so stunning. 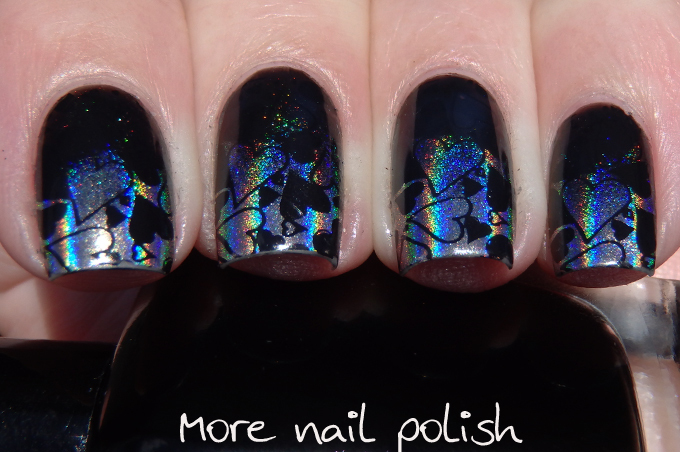 I love how the black hearts show up over the holo! These are so fun!! Great idea!